Many donors like the idea of putting their gift to work to continue giving year after year, rather than just making a one-time gift. For these donors, we offer the option of giving through an endowment. The principal of an endowed gift is invested to provide current income and principal growth. A significant portion of the annual income is distributed to the ministry(ies) designated by the donor year after year into perpetuity. The Free Methodist Foundation currently manages over 200 endowments totaling more than $19 million. In the past five years, over $2.6 million has been distributed to ministry by these endowments. Praise God! If you are interested in giving to an endowment, we invite you to talk with us. You can give to a currently established endowment that benefits the ministry(ies) close to your heart, or you can set up your own endowment. Families often like to set up endowments to honor or memorialize loved ones. Gifts to endowments can be given during your lifetime, or as part of your estate. From time to time we will be highlighting some of the endowments held at The Free Methodist Foundation. The first one we would like to highlight is The Childcare Trust Fund. THE CHILDCARE TRUST FUND has been in existence since March 1988. Its purpose is to provide ongoing support to the Childcare Ministries Program and specific children therein. International Child Care Ministries is a Free Methodist child sponsorship initiative serving 20,000 children in over 30 countries. International Child Care Ministries works with Free Methodists around the world for high levels of care and accountability. 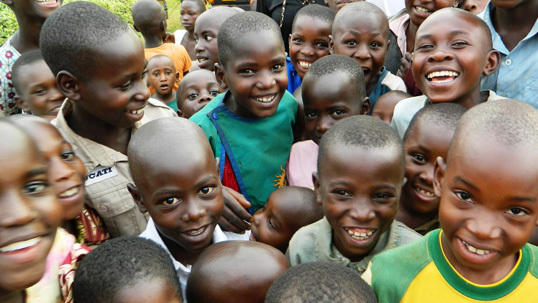 Through education, meals, clothing and basic medical care, children in need have an opportunity for a better life. And they are introduced to the Savior. Endowments such as this sponsor well over 50 children each year! To assist in the ongoing support of children globally through The Childcare Trust Fund, donations can be sent to The Free Methodist Foundation, for the benefit of The Childcare Trust Fund. The Free Methodist Foundation Box 580, Spring Arbor, MI 49283.